Constructed in 1933-1934 as a Civil Works Administration Depresion-Era project, the two-story building, of painted concrete housed the police station, fire department, and town clerk. Community dinners, school acivities, and various other family gatherings took place in the building. No longer used as a town hall, the High Plains Historical Society has transformed it into a museum in the year 2000. 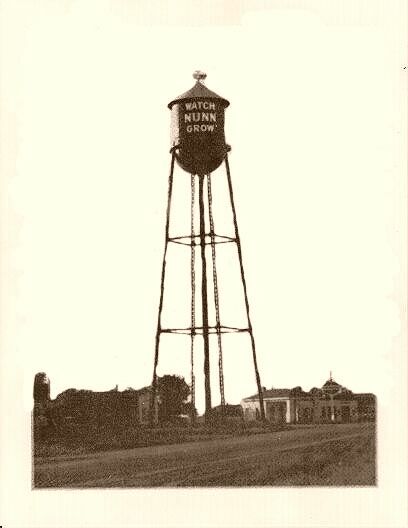 The Nunn Water Tower, a 50,000-gallon steel tank on four legs with a platform and guard rails, was constructed in 1921 and distributes water to town water users. A beacon light on top of the tower once guided planes flying between Denver and Cheyenne, and it served as a light for the residents of Nunn. 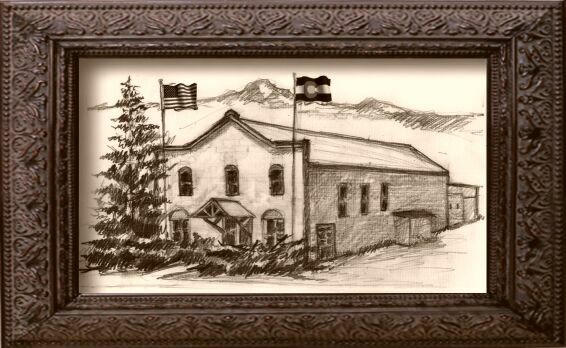 Click to read a great article on our Museum written by Peter Fisk of the online magazine 'Forgotten Fort Collins"
Recently, our Museum staff discovered a magazine called Colorado Life. We thought it was worth sharing on our website. As the magazine says, "Each issue of Colorado Life Magazine is a voyage of discovery. Our writers and photographers roam the state seeking out fascinating people, places and history-and they bring readers along for the ride." Our Museum was included in the Summer Road Trip To 23 Plains Museums article in the July/August issue. Subscriptions are $21 a year, but if you place a subscription thru the Museum for $24, we recieve a generous rebate from the magazine. Contact Bobette or Jim Dannettell 970-669-6142 or jed4570@aol.com if you would be interested in ordering Colorado Life and contributing to the Museum in this way.